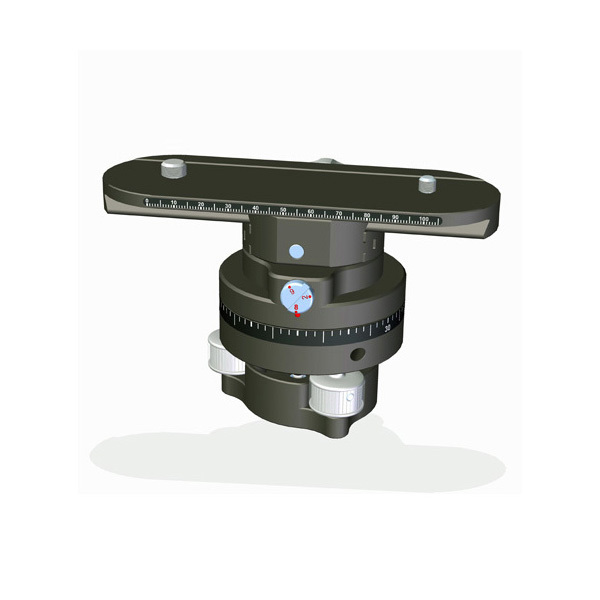 The Basepart CLH-533 is a Head with a Levelling mechanism that allows for fine-tuning the exact horizontal level within a range of 5 degrees, using three knobs. This Base fits to any tripod head with 3/8"or 1/4" mount, has a quick release for a camera plate and a 360 degrees panning function. The panoramic rotation has a preselector switch to set a number of fixed intervals with indents during panning. A choice between just 2 (180 degr. ), or 12 (30 degeres) or 16 (22.5 degrees) intervals is conveniently set with one simple twist of a knob. 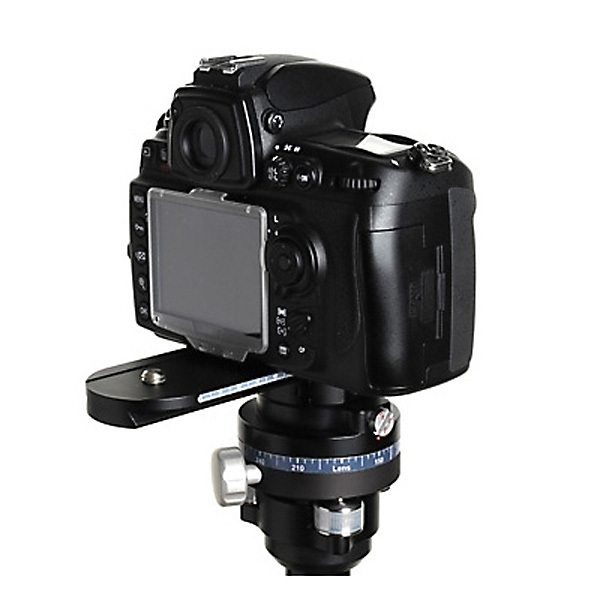 The camera plate can slide backwards and forwards in its mount for the purpose of finding the desired nodal point position of the lens in use. 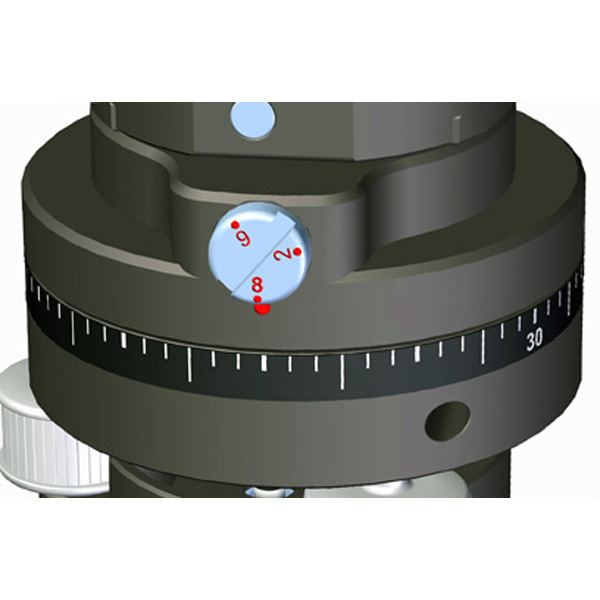 A precise scale will assure easy repeatability of your settings. The Panorama Head System can be fully taken apart thanks to the quick release mounts for easy transportation in a convenient small case and is easy to setup thanks to the scales.